Six years ago a formidable figure in arts and letters, Robert Chrisman, chaired the Department of Black Studies at the University of Nebraska at Omaha. The mere fact he was heading up this department was symbolic and surprising. Squarely in the vanguard of the modern black intelligentsia scene that has its base on the coasts and in the South, yet here he was staking out ground in the Midwest. The mere fact that black studies took root at UNO, a predominantly white university in a city where outsiders are sometimes amazed to learn there is a sizable black population, is a story in itself. It neither happened overnight, nor without struggle. He came to UNO at a time when the university was on a progressive track but left after only a couple years when it became clear to him his ambitions for the academic unit would not be realized under the then administration. Since his departure the department had a number of interim chairs before new leadership in the chancellor’s office and in the College of Arts and Sciences set the stage for UNO Black Studies to hire perhaps its most dynamic chair yet, Omowale Akintunde (see my stories about Akintunde and his work as a filmmaker on this blog). But back to Chrisman. I happened to meet up with him when he was in a particularly reflective mood. The interview and resulting story happened a few years after 9/11 and a few years before Obama, just as America was going Red and retrenching from some of its liberal leanings. He has the perspective and voice of both a poet and an academic in distilling the meaning of events, trends, and attitudes. 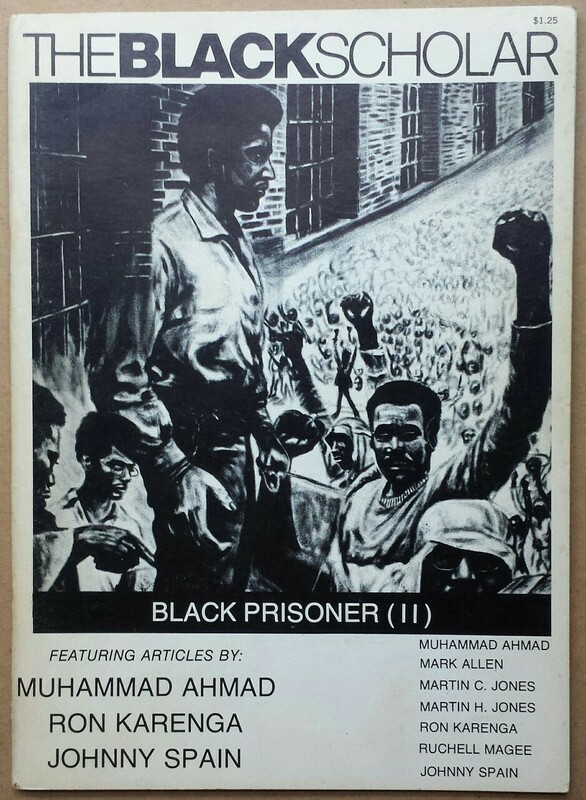 My story originally appeared in The Reader (www.thereader.com) and was generously republished by Chrisman in The Black Scholar, the noted journal of black studies for which he serves as editor-in-chief and publisher. It was a privilege to have my story appear in a publication that has published works by Pulitzer winners and major literary figures. America was at a crossroads in the late 1960s. Using nonviolent resistance actions, the civil rights movement spurred legal changes that finally made African Americans equal citizens under the law. If not in practice. Meanwhile the rising black power movement used militant tactics and rhetoric to demand equal rights — now. The conciliatory old guard clashed with the confrontational new order. The assassinations of John F. Kennedy, Malcolm X, Martin Luther King, Jr. and Robert Kennedy seemed to wipe away the progress made. Anger spewed. Voices shouted. People marched. Riots erupted. Activists and intellectuals of all ideologies debated Black America’s course. Would peaceful means ever overcome racism? Or, would it take a by-any-means-necessary doctrine? What did being black in America mean and what did the new “freedom” promise? Amid this tumult, a politically-tinged journal called The Black Scholar emerged to give expression to the diverse voices of the time. Its young co-founder and editor, Robert Chrisman, was already a leading intellectual, educator and poet. Today he’s the chair of the University of Nebraska at Omaha (UNO) Department of Black Studies. The well-connected Chrisman is on intimate terms with artists and political figures. His work appears in top scholarly-literary publications and he edits anthologies and collections. Now in its 36th year of publication, The Black Scholar is still edited by Chrisman, who contributes an introduction each issue and an occasional essay in others, and it remains a vital meditation on the black experience. Among the literati whose work has appeared in its pages are Maya Angelou and Alice Walker. Another goal was to take on the core issues and topics impacting African Americans and thereby chart and broker the national dialogue in the black community. “We were aware there was a tremendous national debate going on within the black community and also within the contra-white community and Third World community on the forward movement not only of black people in the United States but also globally and, for that matter, of white people. And so we felt we wanted to register the ongoing debates of the times with emphasis upon social justice, economic justice, racism and sexism. No matter the topic or the era, the Scholar’s writing and discourse remain lively and diverse. In the ’60s, it often reflected a call for radical change. In the 1970s, there were forums on the exigencies of Black Nationalism versus Marxism. In the ’80s, a celebration of new black literary voices. In the ’90s, the Clarence Thomas-Anita Hill imbroglio. The most recent editions offer rumination on the Brown versus Board of Education decision and a discussion on the state of black politics. In an essay refuting David Horowitz’s treatise against reparations for African Americans, Chrisman and Ernest Allen, Jr. articulate how “the legacy of slavery continues to inform institutional as well as individual behavior in the U.S. to this day.” He said the great open wound of racism won’t be healed until America confronts its shameful part in the Diaspora and the slave trade. Reparations are a start. Until things are made right, blacks are at a social-economic disadvantage that fosters a kind of psychic trauma and crisis of confidence. In the shadow of slavery, there is a struggle for development and empowerment and identity, he said. In the eyes of Chrisman, who came of age as an artist and intellectual reading Frederick Douglass, W. E. B. Du Bois, Langston Hughes, Richard Wright, Robert Hayden, James Baldwin, Lorraine Hansberry, Vladimir Lenin, Karl Marx, Che Guevara, Pablo Neruda, Mao Tse-tung and the Beat Generation, the struggle continues. “The same conditions exist now as existed then, sadly. In 1965 the Voting Rights Act was passed precisely to protect people from the rip off of their votes that occurred in Florida in 2000 and in Ohio in 2004. Furthermore, with full cognizance, not a single U.S. senator had the courage to even support the challenge that the Congressional Black Caucus made [to the 2000 Presidential electoral process].”Raging at the system only does so much and only lasts so long. In looking at these things, one makes a distinction between anger and ideology,” he said. Just as it did then, Chrisman’s own penetrating work coalesces a deep appreciation for African American history, sociology art and culture with a keen understanding of the contemporary black scene to create provocative essays and poems. Back when he and Nathan Hare began The Black Scholar in ’69, Chrisman was based on the west coast. It’s where he grew up, attended school, taught and helped run the nation’s first black studies department at San Francisco State College. “There was a lot of ferment, so it was a good place to be,” he said. He immersed himself in that maelstrom of ideas and causes to form his own philosophy and identity. 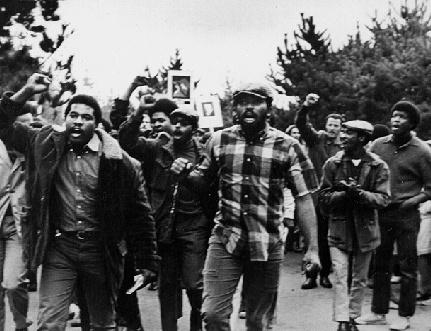 When he arrived at San Francisco State in 1968, he walked into a firestorm of controversy over students’ demands for a college black studies department. Chrisman didn’t know it then, but the example he set and the ideas he spread inspired UNO student activists in their own fight to get a black studies department. Rudy Smith, now an Omaha World-Herald photojournalist, led the fight as an NAACP Youth Council leader and UNO student senate member.“We knew The Black Scholar. It was written by people in touch with things. We read it. We discussed it,” Smith said. “They sowed the seeds for our focus as a black people in a white society. It kept us sane. He has to take some of the credit for the existence of UNO’s black studies program.” Formed in 1971, it was one of the first such programs. 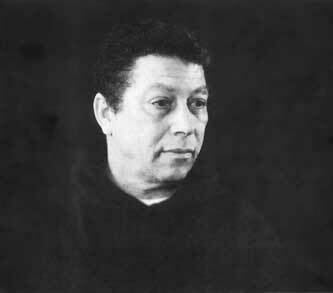 The poet and academics’ long, distinguished journey in black arts and letters led him to UNO in 2001. Soon after coming, concerns were raised that the program, long a target of cuts, was in danger of being downsized or eliminated. Chrisman and community leaders, including then-Omaha NAACP president Rev. Everett Reynolds, sought and received assurances from Chancellor Nancy Belck about UNO’s commitment to black studies, and the department has been left relatively unscathed. Chrisman said the opposition black studies still faces in some quarters is an argument for its purpose and need. “A major function of black studies is to provide a critique of Western and American white society — for all kinds of reasons. One is to apprise people of the reality of the society in the hope that constructive ways will be developed to improve it. Some people say racism doesn’t exist anymore. Well, of course it exists,” he said. “What was struck down were the dejure forms of racism, but not defacto racism.” As an example, he points to America’s public schools, where segregation is illegal but still in place as whites flee to the more prosperous suburbs while poor, urban neighborhoods and schools languish. He said integration by itself is not the answer. A new black power movement is unlikely in the current climate of fear and apathy. Chrisman said the public is baffled and brainwashed by the conglomerate media and its choreographed reporting of information that promulgates multi-national global capitalist ideologies. Then there’s the Bush administration’s hard line against detractors. I would like to thank you for sharing this interview with the world. Although he was my uncle, there are a lot of the details I was unsure of. This interview has filled some of those gaps and I can actually hear his voice as I read it. He was an awesome human being and I am proud to have known him. Again, thank you. Thank you for reaching out and sharing. He touched a lot of lives, for sure. His legacy is one to celebrate.